Learning to read is a bit part of the early elementary years. My kids tackled sight words, phonics, reading comprehension and word families. 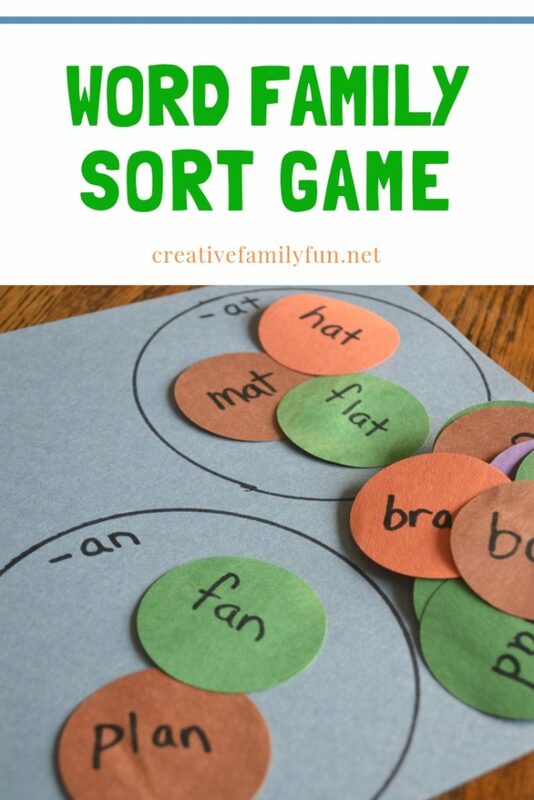 I like to help support this learning at home, so I made a simple word family sort game to help us review at home. My first grader and her class have been reviewing the short “a” and long “a” vowel sounds, so I set up our game using a few short “a” word families; -ad, -an, and -at. Next, I drew three large circles on a sheet of construction paper and wrote a separate word family at the top of each. Then, I used my circle punch to create many smaller circles. Using the lists at Enchanted Learning, I wrote about 10 examples for each word family on the circles. Start by reviewing your word families. 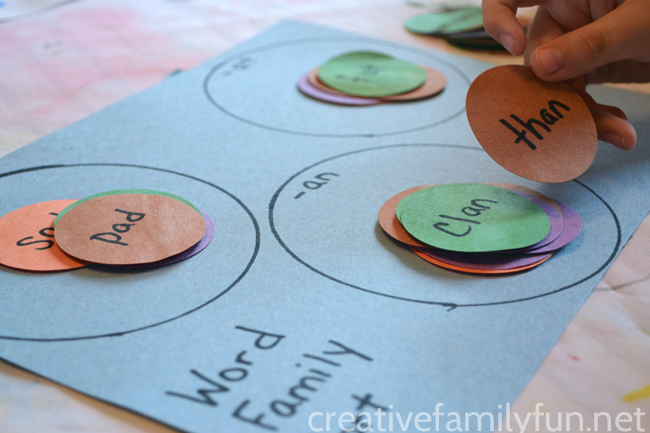 Practice the sounds and read the word families on your game board. 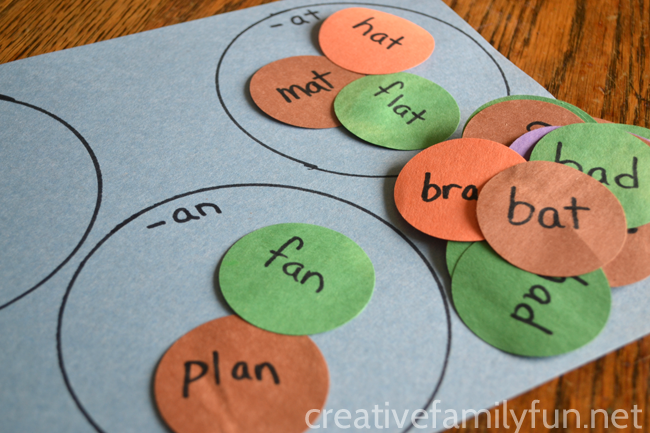 When it’s time to play, mix up your piles of circles with words. Set them next to your game board. Now it’s your child’s turn. My daughter’s task was simple. She needed to say the word out loud and place it in the correct circle. This game was not too difficult for her, but since my goal was to increase her comfort level with the short “a” sound, it worked perfectly. You can make many variations on this game. 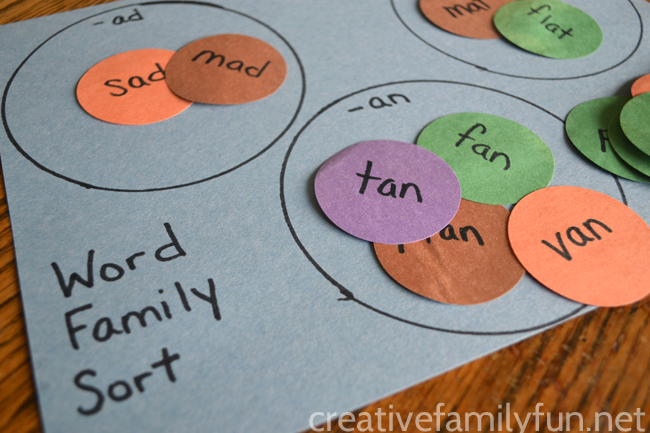 If you plan on using it over and over, laminate the game board before you write your word families in the circle. Once laminated, you can write and erase many word families as you go along. 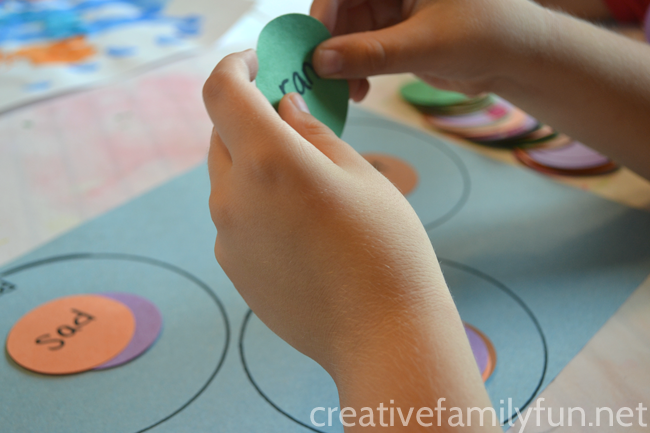 Use blank circles and have your child write their own words on them to increase the difficulty of this game. Make it more challenging by leaving the word families off the game board. 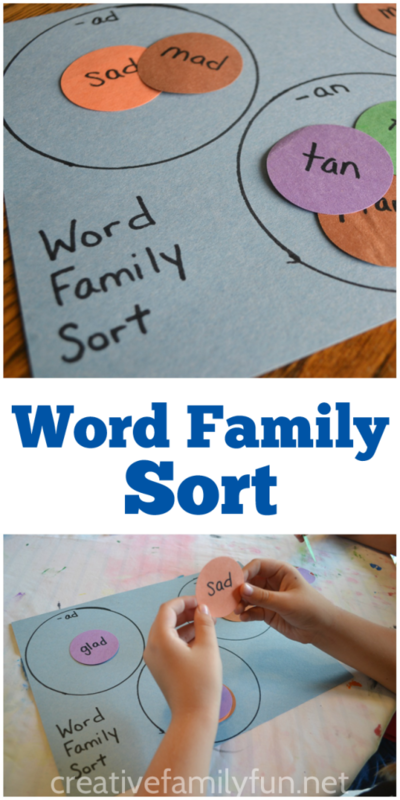 Have your child sort the words then determine their word family.